When teen boys need more help than their parents can give them, it’s time to look at therapeutic boarding schools. Sundance Canyon Academy is a top teen help facility that welcomes boys from Louisiana to begin the long journey to health and happiness. Our unique environment uses adventure therapy, traditional individual and group therapy, life skills classes and academic guidance to help troubled boys from every state. Parents generally feel very comfortable sending their sons to Sundance Canyon Academy once they understand what the facility can do. For more information on the benefits of Sundance Canyon Academy over the therapeutic boarding schools in Louisiana, please contact us at 866-678-2425. We are here to answer your questions and help you find the most positive solution. We offer our students an opportunity to dig a little deeper than they would in other programs and identify the core of their behavioral issues. Without full healing from the inside out, teens are at risk for relapsing and falling back into old habits. In the right setting and surrounded by experts in adolescent therapy, troubled teen boys can go from problematic to prosperous. Sundance Canyon Academy is a therapeutic boarding school that parents in Louisiana should consider because it has a long history of successfully treating boys with a range of behavioral, emotional and mental health issues. No distractions or triggers from negative social situations. Boys can spend much needed time focusing on their actual needs. A chance to build healthy friendships with peers and effective relationships with authority figures without the stigma of past behaviors and expectations. Each student is able to start over with a clean slate. Intensive therapy, including individual, group, family and experiential, so the boys can get to the heart of their problems and then work on overcoming them with professionals to guide the way. Academics are part of the overall curriculum and each boy is coached by licensed teachers to ensure they stay at grade level or beyond. Recreational therapy and life skills experiences allow students to mix play with work and allows them to challenge themselves, boost their self-esteem and build friendships. 5.9 percent of teens in Louisiana use drugs illicitly. 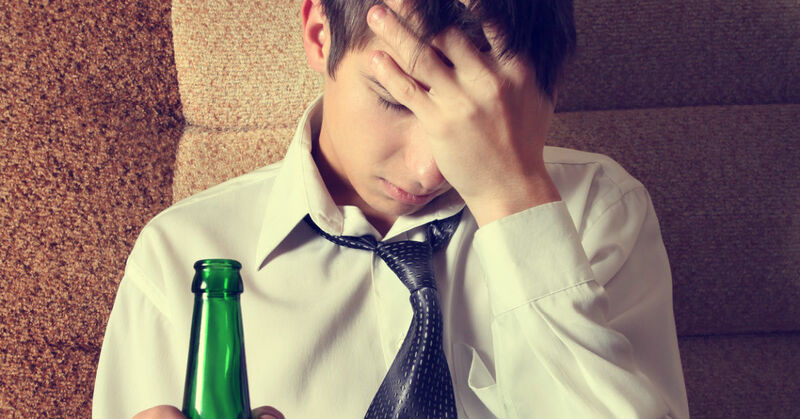 19.3 percent of teens abuse alcohol with 12 percent participating in binge drinking. Louisiana ranks 32nd in the nation for teen suicide. Teen pregnancy rates are at 64.2 percent. 14.2 percent of Louisiana children between the ages of 4-17 are diagnosed with ADHD every year. A 2008 report from the U.S. Department of Justice stated that 1,564 juveniles were arrested for property crime, 603 were arrested for violent crime. 503 teens were arrested for drug abuse. Graduation rates in Colorado are 74 percent. A therapeutic boarding school is often the best thing for troubled teen boys, especially if their current support system of parents, teachers and counselors is not working. At Sundance Canyon Academy, we are committed to guiding teens toward developing their strengths and learning to manage their weaknesses. We believe that each troubled boy has the ability to overcome his challenges with consistency, support and the right kind of therapy. If you are looking for a facility where your son can learn to develop healthy coping skills, Sundance Canyon Academy has a strong history of helping teen boys thrive. Many professionals recommend that parents send their troubled teens a little further from home for maximum therapeutic benefits. Sundance Canyon Academy is an ideal location for boys in Louisiana because it is far enough away for teens to feel as though they can reinvent themselves in an entirely different environment. Located in Utah, Sundance Canyon Academy is also subject to some of the toughest rules in the country when it comes to teen help facilities, so parents can feel comfortable that their son is in one of the best programs in the nation. Whether a teen boy struggles with ADD/ADHD, depression, anxiety, bipolar, abuse trauma, aggression, substance abuse or something else, he can get the help he needs at Sundance Canyon Academy. Parents who want more information on alternatives to therapeutic boarding schools for boys in Louisiana should call 1-866-678-2425. We are anxious to help you determine the best solution for your family.